The Push SmartGauge measures not just lap times, but your speed at every point around a track, when when and where you start braking, how much lean angle you used, when you ease off the brakes, and when you accelerate toward the next corner. 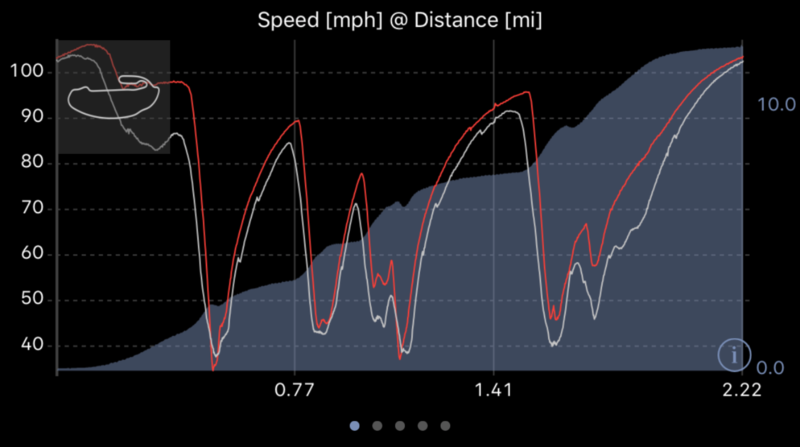 And you can compare lines and speeds against your best lap — or that of a pro. It’s insane. 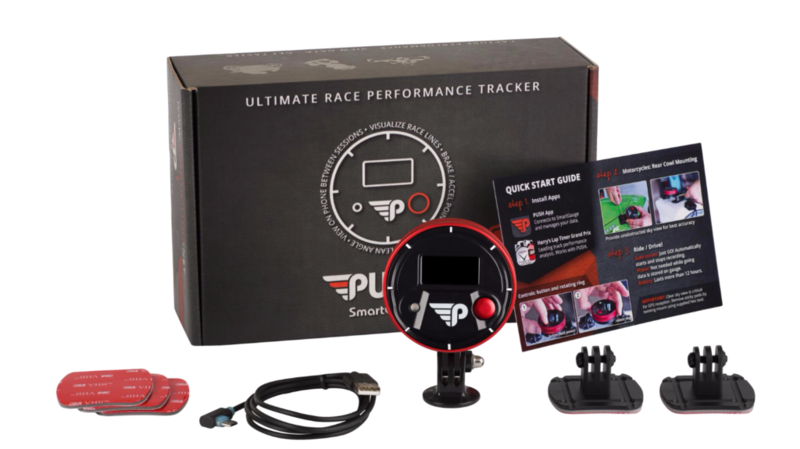 New-Product Debut: SmartGauge Track Data Logger and Training Tool Now Available From PUSH, Inc.
NEWPORT BEACH, CA (January 24, 2017) – Introducing the PUSH SmartGauge, a high-tech racetrack data logger and game-changing training tool for motorcycle trackday enthusiasts and club racers that seamlessly transmits pro-level telemetry and cutting-edge, 3D lap-visualization data via Bluetooth to an iPhone or iPad. Based in Newport Beach, California, PUSH Inc. was founded by a pair of active bike, car and adventure-sports enthusiasts. Todd Berk and Craig Smith developed the SmartGauge utilizing nearly two decades of experience in automotive and electro-mechanical engineering with leading tech companies. Located in Newport Beach, California, PUSH’s mission is to help racers, trackday participants and action-sports enthusiasts improve their performance. Founded in 2014 by adrenaline junkies, PUSH is fanatical about helping its customers, understands their competitive nature and the need for precise, rugged, simple-to-use tools. For more information about PUSH Inc., please visit PushTheLimit.net. 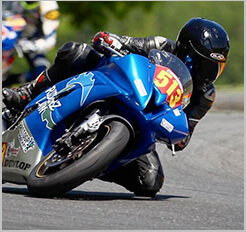 Established in 1989, the Fastrack Riders Academy & Apex Club is Auto Club Speedway’s exclusive motorcycle partner. Fastrack unites riders of all skill levels in a unique environment while hosting Southern California’s most convenient, best organized, all-inclusive trackdays on a challenging 2.36-mile, 21-turn roadcourse. Fasrack Riders have been officially partners with RiderzLaw since 2015. For more in-depth information about the Apex Club’s many unique programs and special events, please visit FastrackRiders.info.